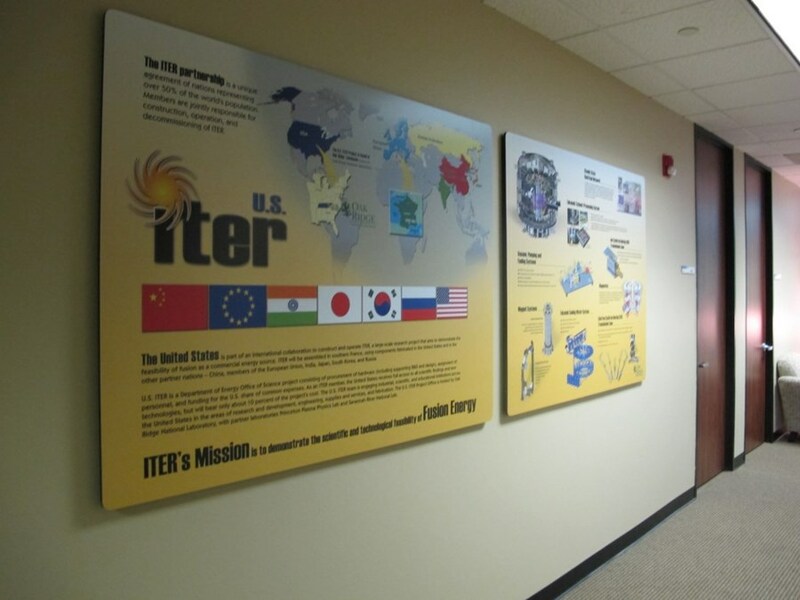 The US ITER Project Office (USIPO) is now well settled into an expanded and renovated office space, after a lot of construction and shuffling of offices in March of this year. Some of the more distinctive features include a formal visitor entrance with multiple screens showing the latest ITER progress, a large state-of-the-art training room, and a 30 metre-wide wallscape highlighting key milestones in ITER history. 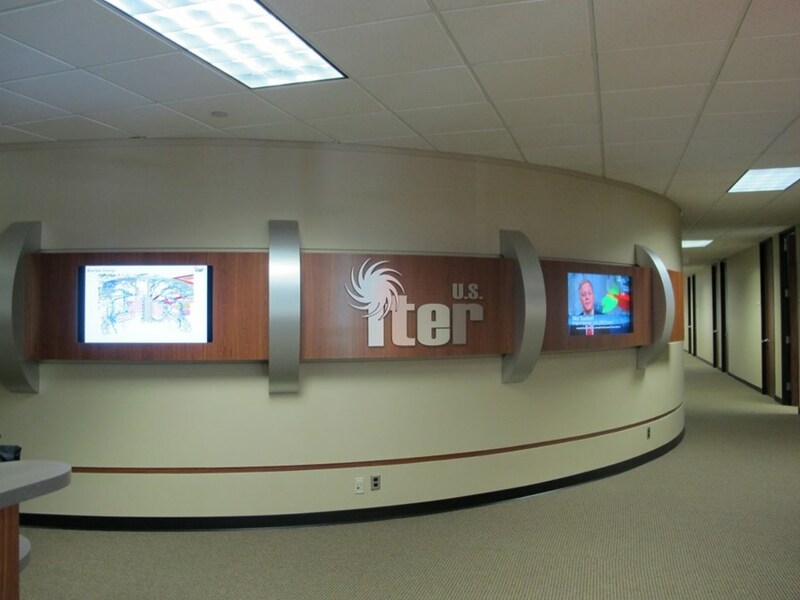 The larger, updated space allows the entire USIPO staff to be located in one building, instead of spread across multiple locations. Visitors are now clearly directed to a central lobby with a staffed reception desk to assist with badging needs. The improvements also meet the needs of the large gatherings typical of regular Lehman reviews, all-hands staff meetings and training sessions. The new training room can seat over 130 participants. To serve staff meeting needs, the number of video-conference-friendly rooms was doubled. 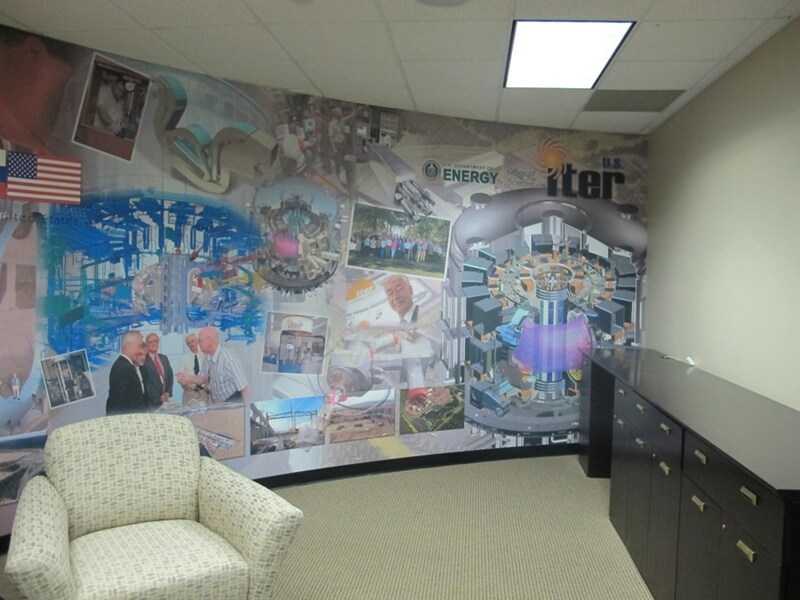 US ITER staff are naming the conference rooms after fusion pioneers.